On my mom’s side of the family, the Bustins, we had three sets of cousins. Today – because of space considerations – I’ll be writing about two of them, with the third set to follow next Sunday. 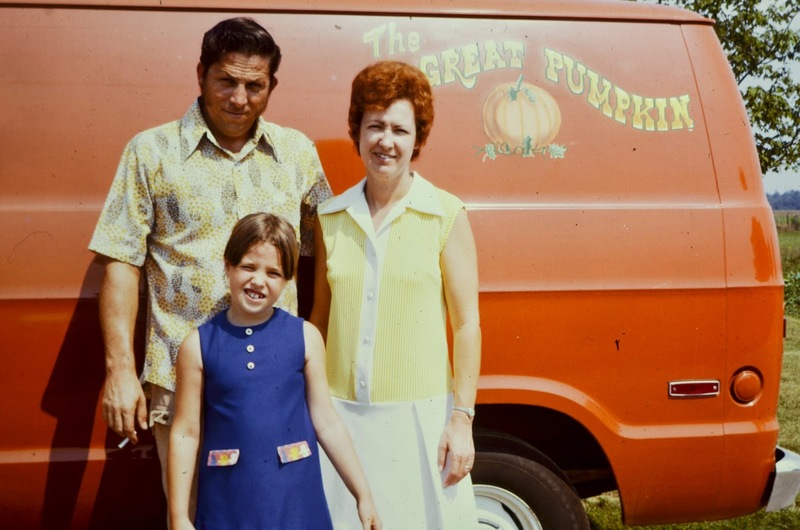 If you live in California, and drive to Canada to visit your relatives in an orange van called “The Great Pumpkin”, then you are the cool cousin. Wendy first visited us in Canada when she was eleven months old. Although I don’t remember this visit, it was our first indication of how sociable she was. They came by plane, and she was naturally jet-lagged. When our parents put the three of us to bed, two of us stayed asleep, but Wendy was up a few hours later. My mom and dad had invited a few other couple over to meet Aunt Barbara and Uncle Don, and Wendy cheerfully kept them all entertained! Wendy is the same age as my sister Gwen, and we always wished we could see her more often. But given that we lived in different countries, with Wendy in the west and us in the east, we did well, since they usually came every second year. Remarkably, my sister remembers me teaching Wendy the American national anthem. (Not my country’s anthem, but hers. Was I really that bossy?) 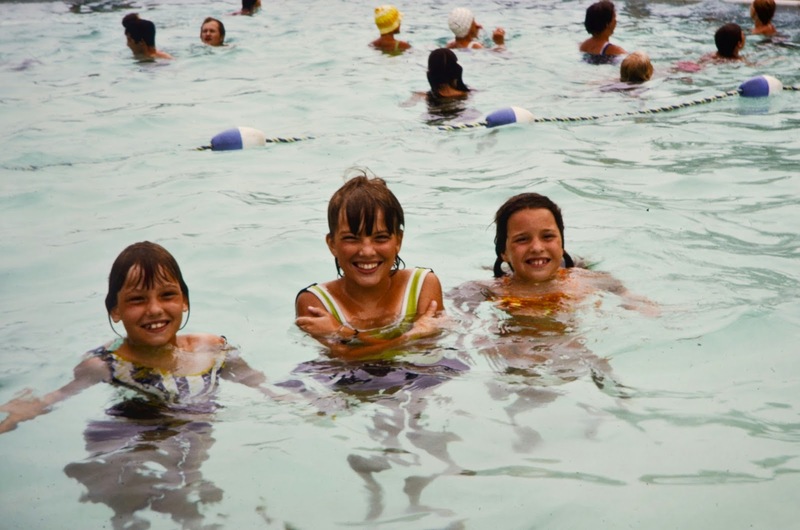 As children, we went swimming together, played make-believe in the corn crib, and took turns in my grandparents’ hammock. As we grew older, our relationships turned into real friendships. We travelled back and forth on our own for visits, and Wendy was a bridesmaid in Gwen’s wedding. 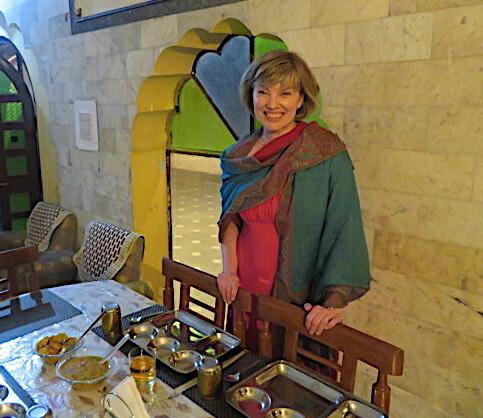 When she came to Canada in 2012, she and I drove to the Stratford Festival to see 42nd Street. We didn’t stop talking for a minute on the way there, and still had lots to talk about before and after the show. Wendy is that friend who you haven’t seen in a while, but when you do, it feels like you’ve never been apart. If Wendy was our cool cousin, then Shawn and Erin were the cute ones. Ten and twelve years younger than me, they were adorable when the rest of us were going through our awkward stages. 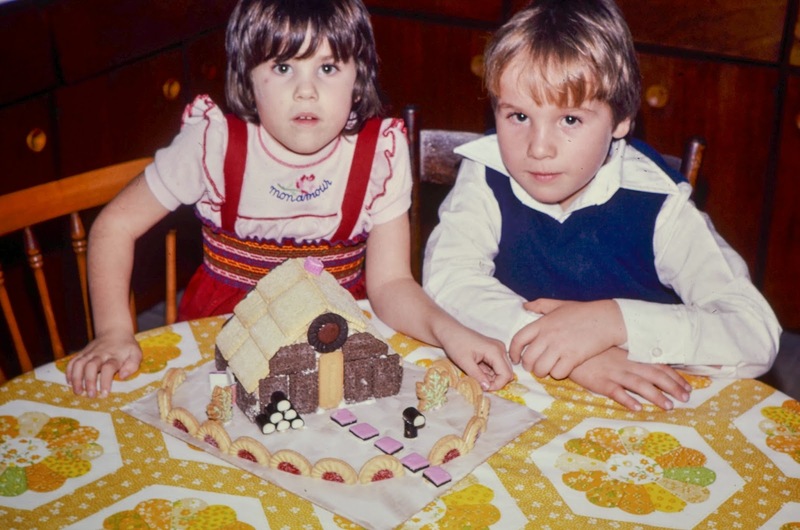 Here they are at one of our annual family Christmas get-togethers, pictured behind the cookie house my mom always made for those occasions. 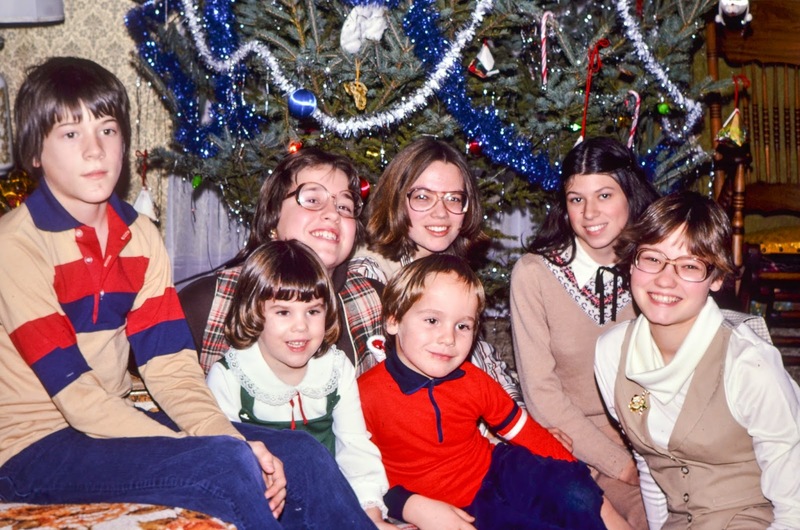 Nearly every Christmas photo taken around that time shows one of them inching their way out of the chair, if not reaching an arm toward the cookie house to claim their favourite treat. Another year, we dressed them up as Santa and Mrs. Claus to deliver gifts. 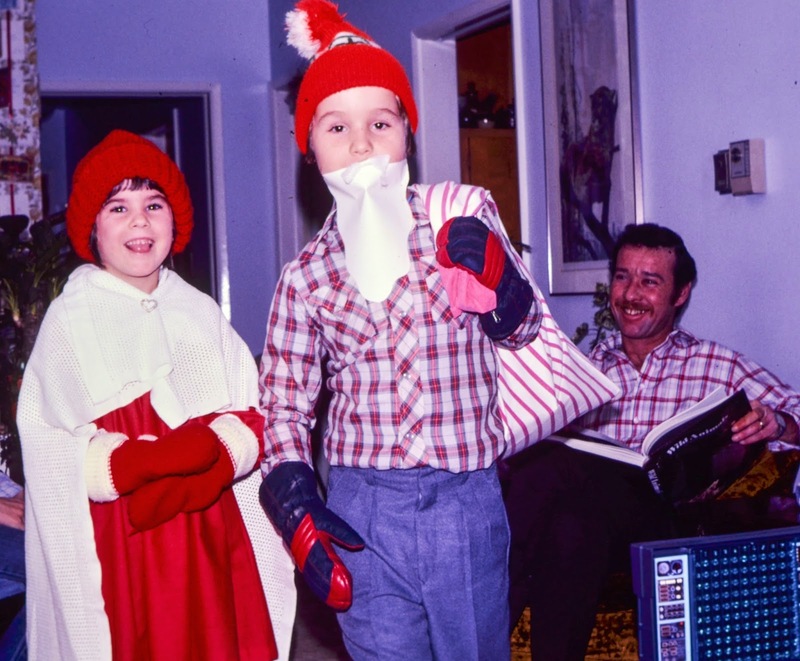 Erin’s big smile and Shawn’s cheerful acceptance of a cloth beard tell you everything you need to know about how much fun it was to have little ones in the family. That’s their dad, my Uncle Alan, smiling in the background. He died much too young at the age of 45, when Erin and Shawn were teenagers. His friendly and gentle nature helped make them the people they are today. Shawn read scripture at Gwen’s wedding, and Erin read scripture at mine. By that time, they had grown into kind, thoughtful young people, and I will always be proud of them. 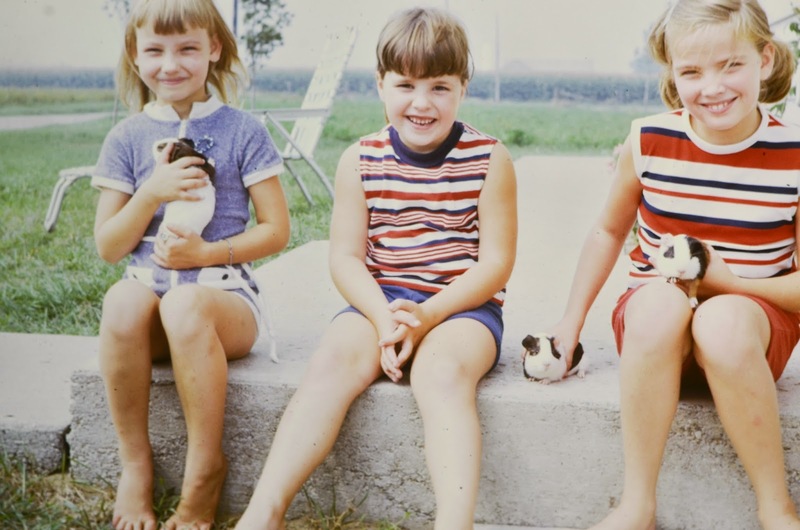 Next week, I’ll be writing about my third set of cousins on the Bustin side – Heather and Michael, the ones I grew up with. And yes, there’s a recipe this week, at least sort of. This seven layer dip barely needs a recipe, but I made it with my youngest daughter yesterday and thought it would be a great appendix to a post about my family. Gently heat the refried beans in a skillet, breaking it up and adding a little cumin. Spread it on the bottom layer of the dishes. Sprinkle cheddar on top, followed by pico de gallo, guacamole, lettuce and sour cream. Finish with cheddar cheese on top. Serve with chips. Dear Beth, These photos are so precious. It looks so nice and very pleasant. Thank you for sharing. These are beautiful memories to share. Love that van. And so awesome how many cool cousins you have. And I was just thinking about this dip. How did you know? Great photos, Beth. We were always annoyed at my mother and her camera (which seemed permanently attached to her neck) but now we are so grateful to have her photos. So full of memories! Aren't the long distance family visits wonderful Beth! We used to visit my cousins in Kansas City every Thanksgiving–in the car at 5 AM, set stops for breakfast and lunch (Amana Colonies in Iowa), then in for a late dinner. Thanks for bringing back those memories! What a nice sweet post, your cousins sound great. The dip is great, we had one very similar yesterday for game day. 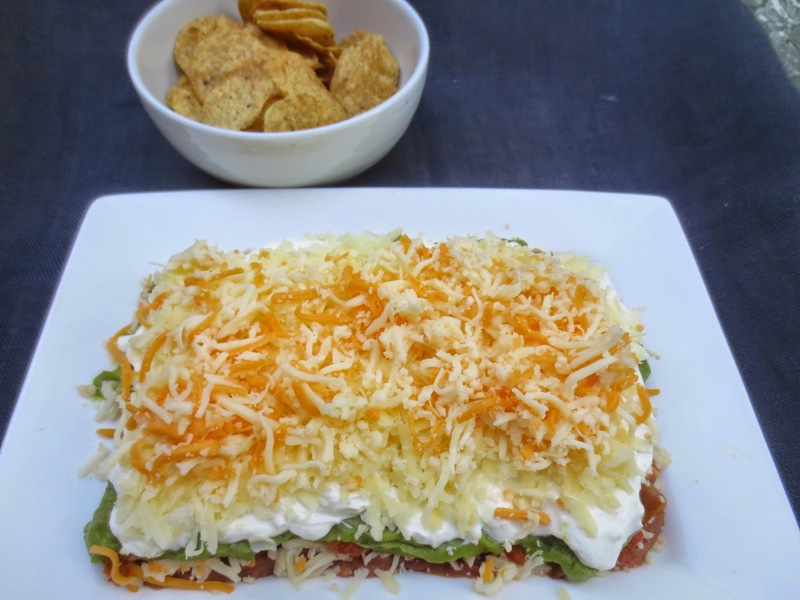 Seven layer dip is the best! One of my favorites. Hi Beth, enjoy your posts on your family and growing up, sounds so wonderful! Also your dips looks delicious! Great pictures and such a nice post dedicated to your cousins. Uncle Alan looked like a great guy from that pic. I love your post! It's so nice to dedicate it to your cousins 🙂 and your 7-layer dip…. awww… Delicious! Fun post — love the pictures! They're wonderful. And the dip? Really good stuff — thanks. This is a really sweet post 😀 Loved reading about your cousins! Beth, what a wonderful trip down memory lane – my favorite picture is the very first one with that lovely van in the background – but, of course, all the photos are amazing – and what a great recipe for a dip as well. I have been meaning to make a seven-layer-dip for the longest time. Just had not had the time yet. Those photos are precious, Beth. That dip looks like a cake :-)) Must be very delicious!